Carry On Trucking, Inc. is a family owned company business where SAFETY & FAMILY COMES FIRST! That’s why we adopted this phrase as our new company Mission Statement in the summer of 2014. Our mission statement is supported by our drivers having access to a Flexible Work Schedule. Drivers are also rewarded monthly with Safety and Performance bonuses! Carry On Trucking is nestled in the beautiful mountains of Southern Virginia in the small town of Pulaski, VA. Leading our company is President and Owner Billy Singh. C.T.I. has been in business since 2004. Starting out with only 6 trucks and 3 employees Billy strategically located his business off of the I- 81 and I- 77 corridors. 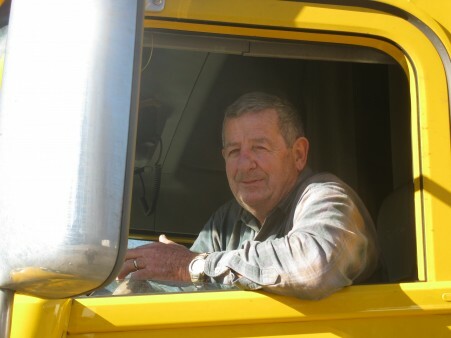 Billy has successfully grown his fleet to over 40 tractors, 80 trailers and multiple drop yard locations in VA and TN. He also has plans for an expansion in Richmond, VA metropolitan area in the very near future. C.T.I.’s drivers are carefully screened before employment through FMCSA guidelines. To help maintain our focus on safety, all equipment is serviced and maintained on a regular basis by our own mechanics abiding by adhering to D.O.T and I.C.C rules and regulations.